DR. 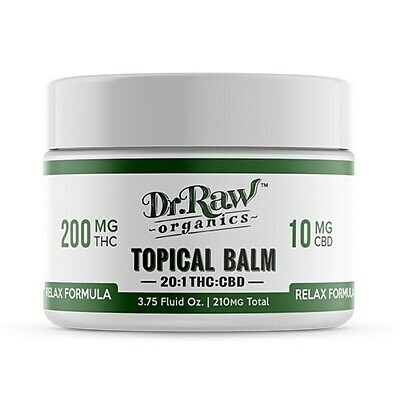 RAW ORGANICS- Relax 20:1 Topical Balm Topicals, Order Weed Online From East Of Eden Cannabis Co.
Organic Shea Butter | Organic Virgin Coconut Oil | Organic Vitamin E | Organic Eucalyptus and Lavender Oil 200mg THC | 10mg CBD Our simple approach to a topical marijuana balm provides soothing and calming pain relief to local areas on the body. Popular Topicals from East of Eden Cannabis Co.